With the Call Waiting feature and the Call Forwarding settings, you have many ways to divert incoming calls. 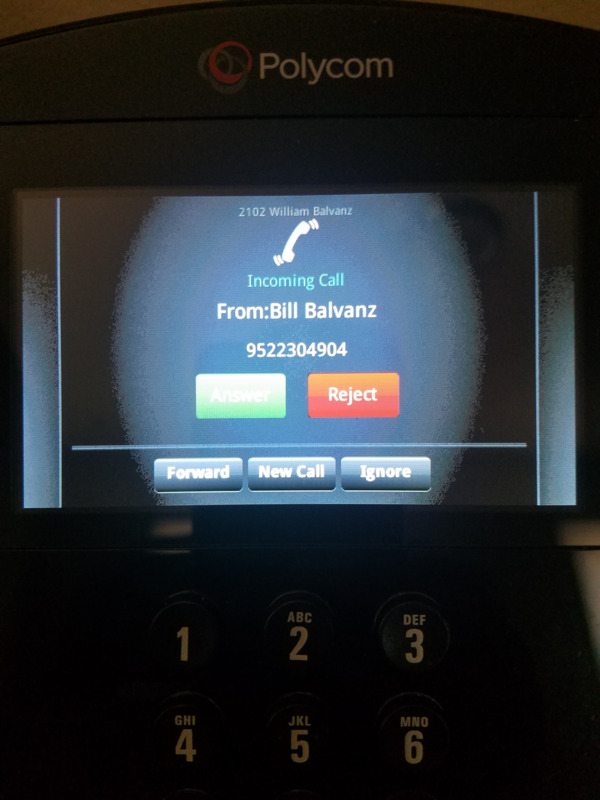 Incoming calls will show on your phone's display screen and provide options to handle. This will put your current call on hold immediately and make the incoming call your active call. This will send the incoming call to your busy treatment (by default, to your voicemail busy greeting). This will allow you to enter a destination and the system will Blind Transfer the call there. You do not have to suspend, end, or interrupt your current call. This function places the active and incoming calls on hold and opens a new outgoing call (you will hear a dial tone). This will silence the ringing and keep the call waiting until it rings through to your no-answer treatment (by default 3 rings and onward to no-answer voicemail greeting). You can activate or deactivate some of the services by turning them on or off on the page for the service. Call Forwarding is found within the Incoming Calls section for the user. Some of these settings are also available in the Call Forwarding section in the phone menu of certain devices. Automatically forward your calls to a different phone number when your phone is busy. This also applies during a Do Not Disturb state, or when rejecting an incoming call. Automatically forward your calls to a different phone number when you do not answer your phone after a certain number of rings. By default, this goes to your voicemail no-answer greeting after 3 rings. You can alter the number of rings in this spot. Automatically forward your calls to a different phone number when your phone is unreachable. allows you to sequentially ring up to 5 locations in addition to the base location for a specified number of rings. allows you to list up to 10 phone numbers you would like to ring in addition to your primary phone when you receive a call. This feature is helpful when you are not at your phone but you would like your cell phone to ring when you get a call.